The industry is laden with silly and many times nonsensical paid search marketing myths. Some myths are insidious and can cost advertisers a fortune without them realizing it. In this article, I will highlight a handful of the more prevalent PPC myths (by no means all of them! ), expose flawed logic and explain how things really work in paid search advertising. Not quite. Other match types (in particular phrase match) can trigger variations of the keywords you’ve chosen. Not only that, but sometimes Google match types calibrate more broadly than you may think. Take a look at the following example from Google’s help files. Let’s say you’re advertising for phrase matched term “tennis shoes”. To get a better handle on the terms that are triggering ads, pull a search query report and add irrelevant queries to negative keyword lists. Not quite. Google recently changed its policy to allow advertisers to include trademarked terms in ad copy (before advertisers could only bid on these terms). On March 3, 2011, Yahoo and Bing announced that advertisers would be able to advertise on trademarked terms. Ultimately, it’s up to companies to monitor their trademarks and to rectify issues with the search engines and/or directly with the advertiser who you believe are inappropriately using your trademark. In his recent article Is It Time to Rethink Bidding on Trademarks?, Matt Van Wagner does a good job in explaining differences in Google and Bing trademark policy and how each ofthe engines goes about addressing complaints. As Matt noted, there is some variation in the direction of recent legal decisions, so that it may be a bit riskier to advertise on these terms than it once seemed. Stay tuned. Don’t throw the baby out with the bath water! In optimizing PPC accounts, we try to get underperforming or poorly performing terms to convert at an acceptable ROI. Advertisers could be losing out on keyword opportunities they automatically turned off all underperforming terms. A better strategy is to modify bids to bring cost per acquisition figures in line. Overall conversion volume will decrease, but fewer conversions are better than no conversions at all. More importantly, casting a wide net and keeping marginal keywords “alive” provides growth potential and rewards you with more data on more user response. Going too narrow chokes off opportunities and provides marketingless insight. In most circumstances, your companies branded keywords will generate very high CTRs. The CTR associated with your branded keywords can help to build a positive account level quality score in your account. Note: quality score is calculated at an account level, ad level and a keyword level. More on this and Quality Score myths in my paid search column next month. In addition, it’s never a given that a searcher will convert to a buyer, even if you show up in organic listings. By taking up more screen real estate on your brand terms – appearing in both paid and organic listings, and deploying Sitelinks for both – you crowd out competing offers and other noise. Your branded clicks are typically cheap so it’s a no-brainer to pay for them to lock in more available mindshare. From the content network, the advertiser increased conversions by 37%. Cost per conversions decreased by a whopping 48%. Note: search advertising and content advertising work very differently. It’s important to understand the differences before you embark on content advertising. Once you do, you need to optimize relentlessly for the display (network) to improve performance. It is possible to effectively target on the content network, however. For more specific information how to advertise on the content network, take a look at my article called Five Quick Tips for Success on Google’s Content Network. 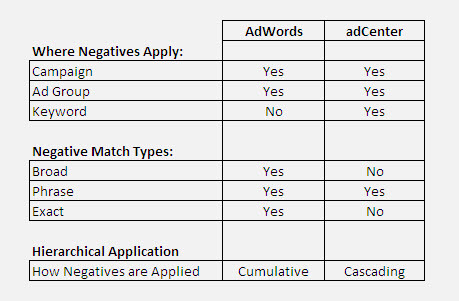 Stayed tuned for my next article, where I will return with more PPC myths, primarily focused around AdWords Quality Score.